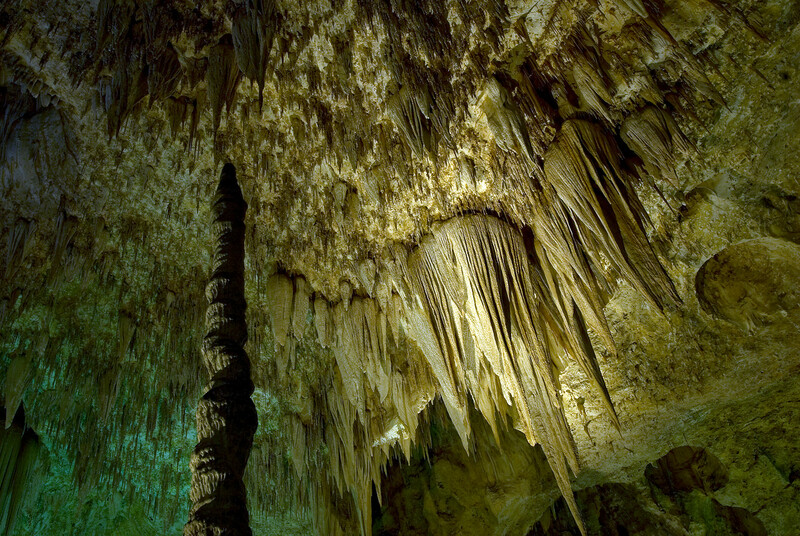 The more than 100 limestone caves within Carlsbad Caverns National Park are outstanding and notable worldwide because of their size, mode of origin, and the abundance, diversity, and beauty of the speleothems (decorative rock formations) within. On-going geologic processes continue to form rare and unique speleothems, particularly in Lechuguilla Cave. Carlsbad Caverns and Lechuguilla Cave are well known for their great natural beauty, exceptional geologic features, and unique reef and rock formations. The Permian-aged Capitan Reef complex (in which Carlsbad Caverns, Lechuguilla and other caves formed) is one of the best preserved and most accessible complexes available for scientific study in the world. Carlsbad is one of several World Heritage caves which I’ve visited. I love visiting caves and Carlsbad is one of the best. Unlike the other caves I’ve visited, I was allowed to take my tripod into the cave, so the photos are much better than I’ve taken in other sites. I’d like to return to Carlsbad someday and explore Lechugilla, but it isn’t open to the public. 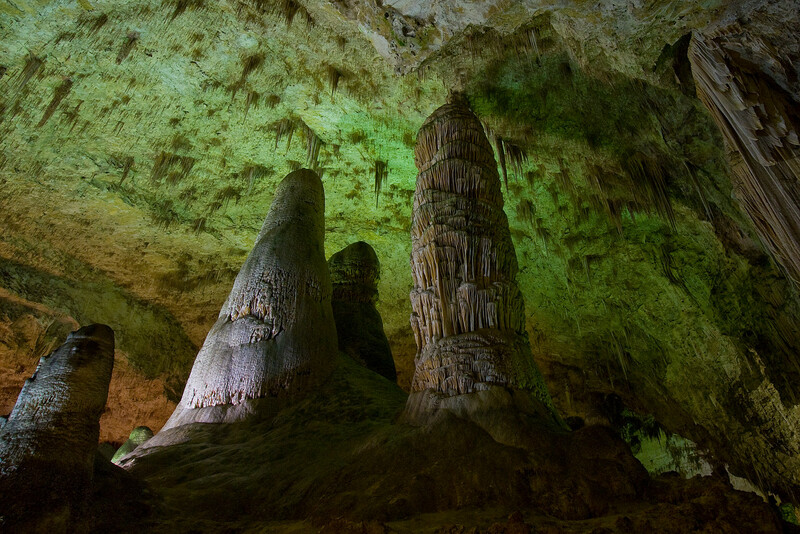 Carlsbad Caverns National Park also borders Guadalupe Mountains National Park in Texas. Carlsbad Cavern National Park is a unit of the US National Park Service and is also a UNESCO World Heritage Site. The park is located in Carlsbad, New Mexico and was established in 1930 as a national park. In 1995, it was added to the list of UNESCO World Heritage Sites. The park is part of the Chihuahuan Desert of New Mexico at the base of the Guadalupe Mountains. 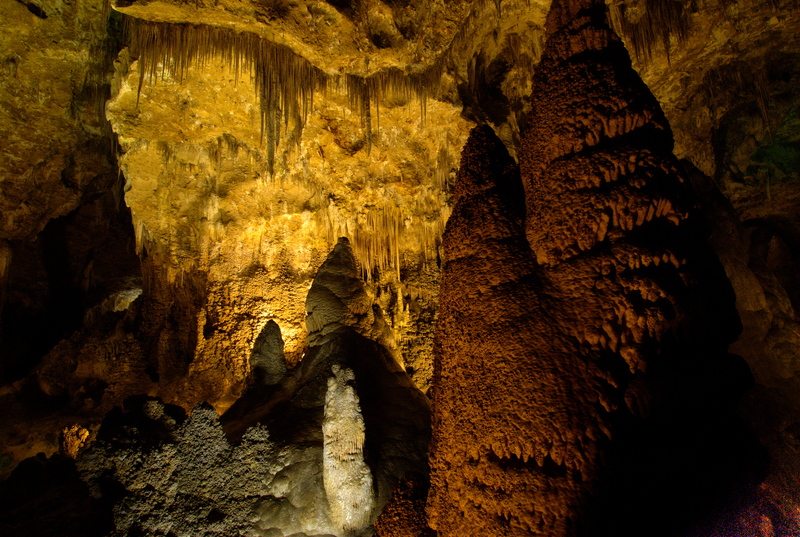 Within the park are 83 individual caves that include the park’s namesake, Carlsbad Cavern. From 2007 to 2016, the number of annual visitors to Carlsbad Cavern National Park has reached 410,000 in average. The number of tourists is at their highest during Memorial Day Weekend or Fourth of July. There is free admission available for tourists who wish to visit the park during important holidays so be sure to check that out before you go if you want to take advantage of the free entry. If you would like to camp in the backcountry portion of the park, you can do so. But you must secure the necessary permit at the visitor center before you are allowed to. There are also several programs offered at the site to provide more opportunities to learn more about what the site can offer. One of them is the bat flight viewing. This program is typically held early in the evening in the amphitheater (located near the main entrance). For optimal viewing experience, you can visit the park sometime in July to August. 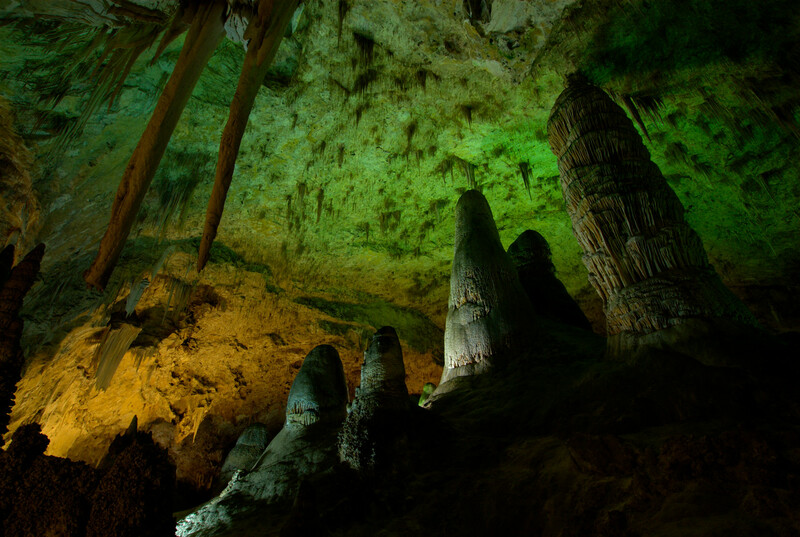 Carlsbad Cavern National Park is a massive cave system that is situated on a bed of limestone. It has had a long history of geologic formation that started 250 million years ago, which is the same time wherein the area where the park is in was once a coastland for an inland sea. Over the years, tectonic movement lifted the reef above the ground. There are 119 caves that are included within the park’s protected area. Out of 119 caves, only 3 are accessible to the public via tours. 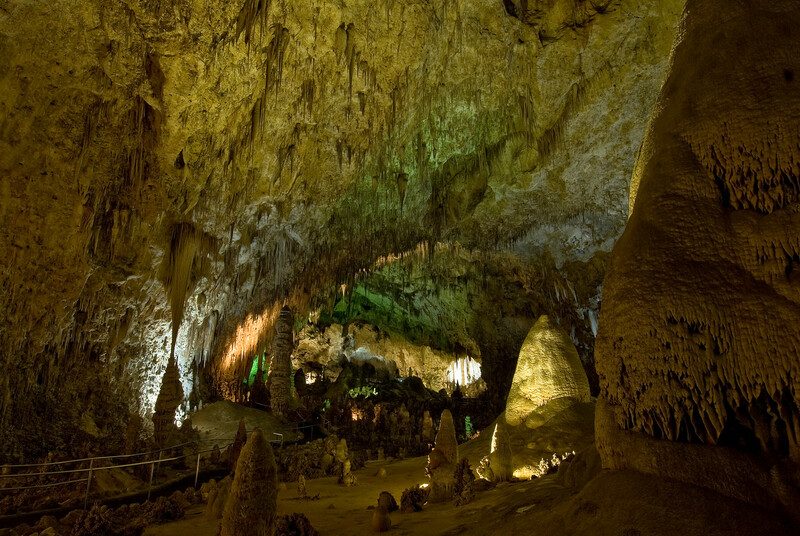 Carlsbad Cavern is the most famous of these caves, which is why the park was named after it. It is also the most developed of all the caves with paved trails, electric lights, and elevators to make it easy for tourists to access and explore. The two other caves that are open for tours are Spider Cave and Slaughter Canyon Cave. These two are underdeveloped but they do have designated paths for adventure caving tours. Aside from the caves, the bats are another popular tourist attraction in the national park. There are 17 species of bats that call this national park their home. The Mexican free-tailed bat is the most prominent of these species although experts claim that the number of these bats have declined significantly. Other activities that you can enjoy during your visit to the Carlsbad Cavern National Park include hiking or driving through the desert scenery and ecosystem that surrounds the park. There is a developed Caverns Historic District outside the cave entrance that tourists can explore. Meanwhile, there is also the Rattlesnake Springs Picnic Area that is filled with picnic tables and natural oasis with landscaping for you to enjoy.